By Caz | December 5, 2018 | This post may contain affiliate links, which means we may receive a small commission, at no cost to you, if you make a purchase through a link. Read our Disclosure. 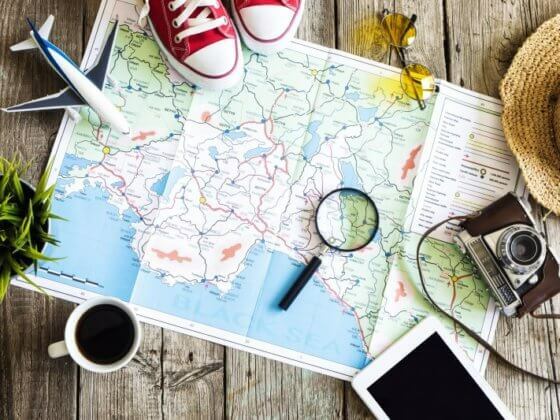 Are you constantly digging through your bag to find the random pieces of paper you’ve scribbled itinerary notes down on for your upcoming trip? You get to the check-in desk of your accommodation and you can’t find your booking number. You search through your emails frantically to find the confirmation email, but even Google can’t find them. Hell, you probably even deleted it. This is me. It’s annoying as hell. I love organisation, I just don’t have the brain to make it work. I need systems installed for me so I can easily input the information. 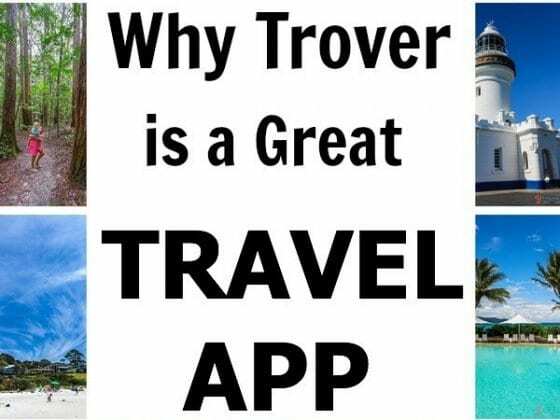 I could possibly have found a great solution with the recently launched TripVerse app. I’ve been trialling it in partnership with them and find it a useful travel planning tool to share. 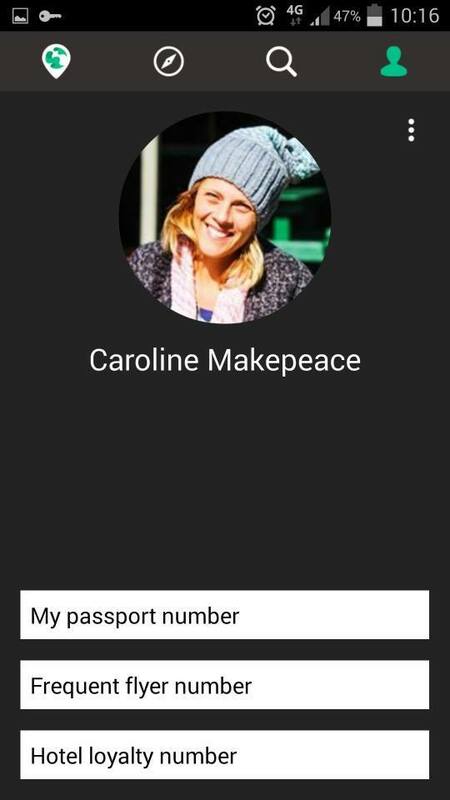 The first sign I liked it was when I noticed you can input, and password protect, your passport and frequent flyer numbers. Before kids, I used to have an amazing memory and could easily rattle off my passport number. Now I have to dig out my passport every time, or find my frequent flyer card amongst a hundred others in my wallet. It’s irritating. But with TripVerse I can just open the app and there it is. 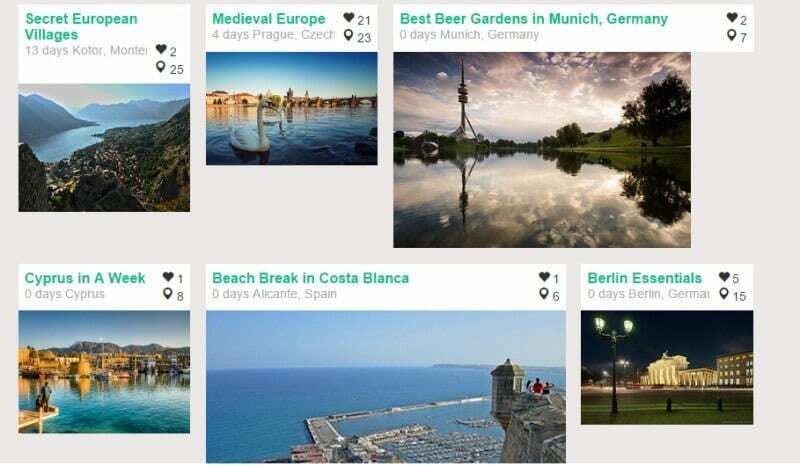 TripVerse is a travel itinerary viewer that can be read offline. 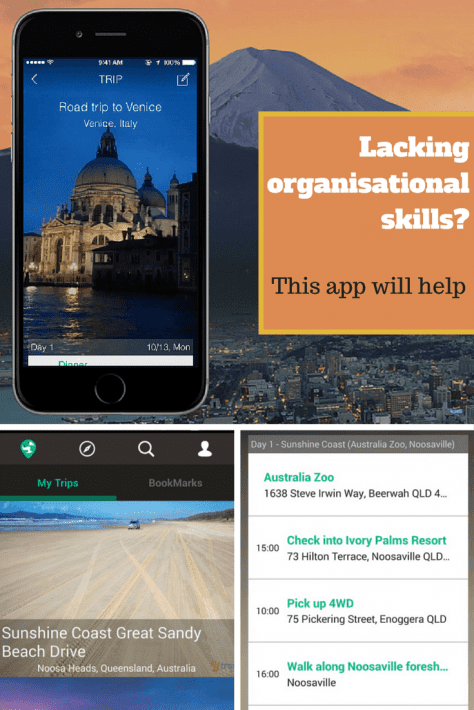 It allows you to create and share your own itineraries – useful if you are travelling with others, or if you want to help others plan for their upcoming trip. There is an app and a desktop version. You can also view other itineraries created by other travellers in a community. When I’m travelling to a new destination, I love to see what others have done and they have a great itinerary, then why not do the same? Saves me a lot of work researching it! Once you create an account, you can start planning your trip by clicking ‘create a trip’ on the top bar of the main page. Enter the location and write a short description of your trip. 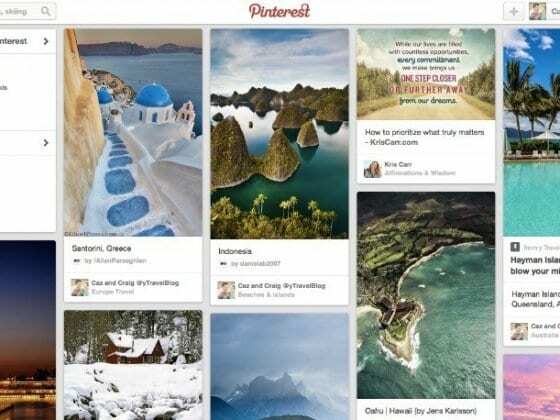 You can also upload a photo or link an image to the trip. If you don’t have a photo, images from Flickr will be automatically added, or you can add in the URL of the place you are visiting and pull an image from that site. Then you can start adding activities to your itinerary and organising them into Day 1, Day 2 etc. You also have a function to label it as a bucket list activity. The good thing about the itinerary template is you can add in the website, address and phone numbers of the places you are visiting. TripVerse works with various API’s to automatically pull these details, with a picture, for easy identification. Some of these I had to manually input. You can create an itinerary on the app or the website. On the TripVerse website there is a list of suggested activities list, divided into various categories – sights, arts, food, coffee, shopping and nightlife. I really like this function for discovering new things to do based on your interest. You can easily add them to your itinerary and you might find some special tips. 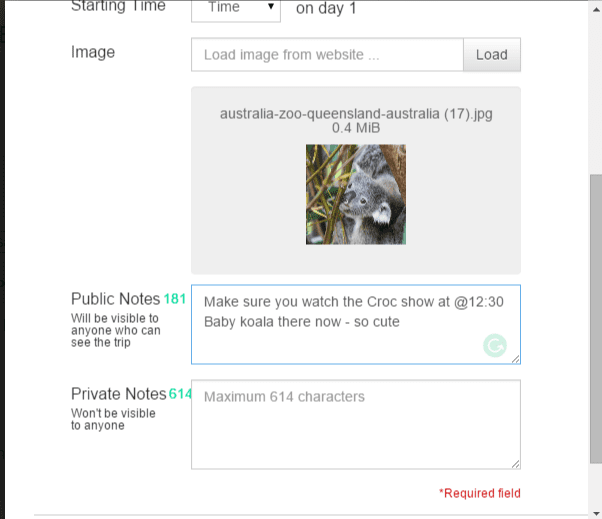 Within the itinerary template you can also add in notes – both public and private – that can be accessed offline. Setting it up may take time, but in the long-run you’ll save a ton just by being organised and not having to fumble through maps, your notes, or try and find a decent Wi-Fi connection. On our recent Sunshine Coast trip along the Great Sandy Beach Drive, I was able to add in the very important information on letting down our tyre pressure to 20psi. Information that I usually try and remember and then end up getting bogged in the sand because I can’t! The best thing about TripVerse is you can view your travel itinerary with all your notes, maps, location information and tips offline. Just make sure you choose ‘download trip’ from the top right tab. This is hugely useful as Wi-Fi connection can be a challenge for travellers. Using this app will save me so much angst in future when we travel, especially when we travel for work or on specific campaigns and have to follow an itinerary. I usually have it downloaded as a PDF and try to scroll through and find all the information that way. It’s time-consuming and painful. 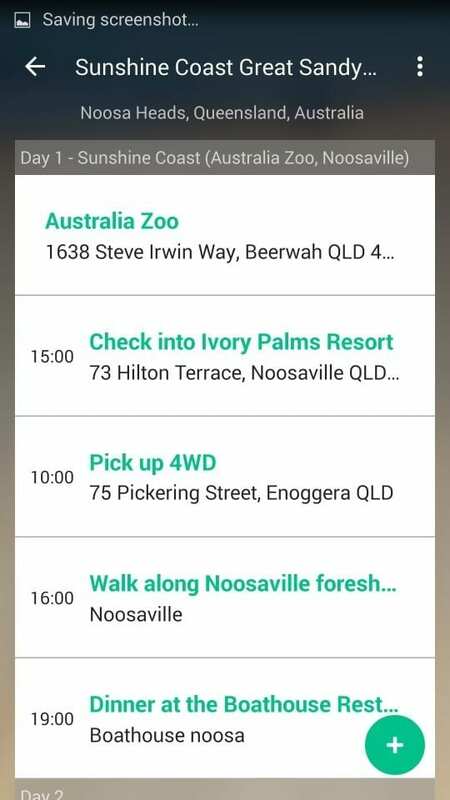 In testing the TripVerse app, I created an itinerary based upon our recent weekend away to the Sunshine Coast. It was an amazing getaway, so I like how I can put this together to share with others who might wish to do the same. We get many readers asking us for itinerary ideas, so I think this will be useful for us to share. 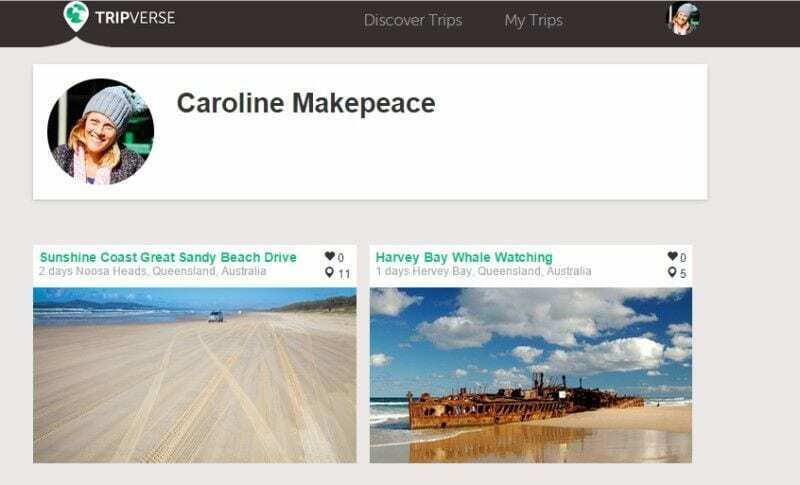 We have an upcoming trip to go whale watching in Hervey Bay/Fraser Island, so I am using it at the moment to get some ideas for food and activities. I plan on having this itinerary in place and ready to go before we leave. We’ll be heading into no Wi-Fi land so this will be helpful. The itinerary template is easy to use. It’s uncomplicated and I love how it can pull information for you. Copying links and photos from sites like Yelp and Trip Advisor can add a lot of useful information. You can add your own photos or easily pull some from online. I love the suggested activity list and how it pulls all the info you need – opening hours addresses, tips etc. – and then puts them on the map. I find using maps so useful when planning so I can see how I can fit all the things in I want to do. This gives me an easy overview for travel planning. I also love how you can add in things like supermarkets!! No more Google searching on dodgy internet connection – where’s the nearest supermarket? I can have it all on my map ready before I leave! I might be an organised traveller yet! You can get access to it offline and it’s quick to download. I love the ability to add personal notes and tips and get access to what others have added. I also like how there is a private section for notes. The itinerary view on your app is clean and easy to read and view. Easy to move around activities in your itinerary with drag and drop features. A bit buggy when adding photos – had to drag and drop rather than upload. More flexible search options for the suggested activity links, as you often want to search nearby to discover new things. 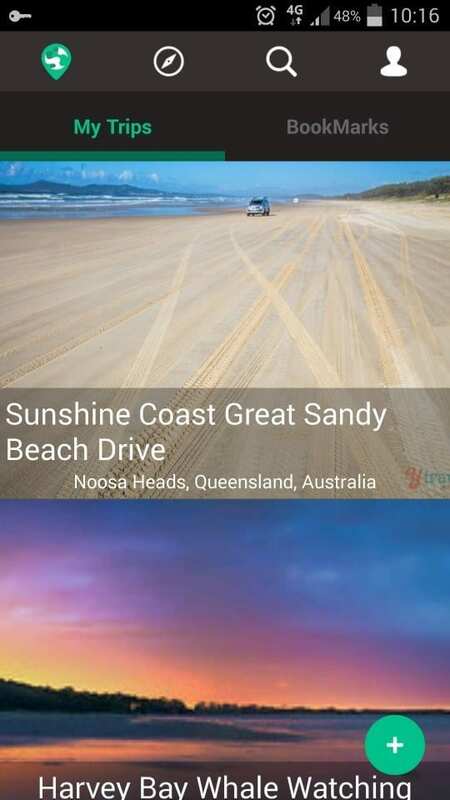 For example: I set up my itinerary for Harvey Bay, but then wanted to look at things for Fraser Island, which is nearby. 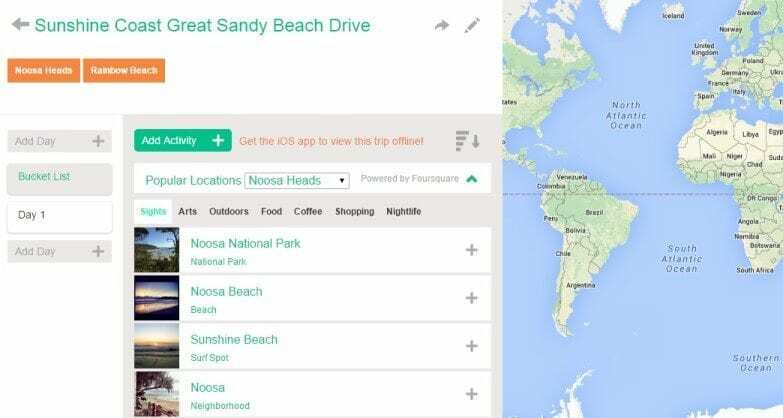 There was no way I could pull that data from within the itinerary unless I went back to the original settings for the itinerary and added in Fraser Island as a location. Can be very involved process to do all the research first and then add in the info to the itinerary. It’s a fantastic app for those who love to be organised. For wingers like me, you’ll get frustrated by the time it takes to create. It’s more suited to short-term breaks, rather than long-term travel, which is a bit more unplanned and flexible. You could still use it for ideas though. Works best with city destinations. Just a personal preference, but I feel it’s best to create the itinerary first on your laptop or desktop. I feel it’s too fiddly and cumbersome to do on your mobile devices. But, I find any form of typing on a mobile device to be cumbersome. Plus, there are the suggested activities features on the website version which makes it more useful to use it there first, and then the app for your itinerary viewing offline. Although having all the details in one place on your phone, is extremely handy. Just make sure your phone is charged. TripVerse is still in beta so currently working on new feature. Here are a few of them. Trip collaboration: Instead of being able to only view a shared trip, you can allow other people to add activities in your trip. Storytelling feature: Each activity can have multiple pictures attached (around 5) and each picture can have its own comment added to it. TripVerse will evolve to become part travel planner part journal. Increased interaction: Other users will be able to comment on the activities of a public trip in the form of annotations. Booking activities: Eventually, TripVerse will allow you to book flights, hotels, ground transportation, museum/show tickets directly from their app/site, so you can book everything you need as you plan your trip. Sounds like some exciting things ahead with this app to help travel planning easier. TripVerse is a smart, useful tool to help you become a more efficient traveller – both in the planning stage and when you are on the road. You can download it from the Apple Store here, or Android here. You can follow and connect with us here. Disclaimer: This post was produced as a collaboration with TripVerse. This is insane! I’m only the eleventh downloader on the Android store! I’m definitely excited to use it, I’ve been using tripview so far, and have been dying to find another option, because of how buggy the android version is… Thanks so much for the suggestion, I’ll definitely be trying it out! Going to try it now, we have so many things booked and are using apple Notes to track it. This is definitely an app I will try in my next trip. I like the fact you can go off-line. That’s the issue with most of the apps nowadays. They work great with internet but offline they lack quite a bit. Downloading! I’ve got a folder full of apps on my phone trying to find the one perfect travel app. I like the idea of this and hopefully out of Beta it’s the one I’m looking for. I’ll give it a go and see how it works on my next trip. I like Trover at the moment to find places to explore but it has the same problem when you want to get to places outside of a big city. There just aren’t enough users yet to make it worth it just yet. Fingers crossed!